PRWeek asked two communications executives - one from Denver and the other from Seattle - to make their case as to why their team will come out on top. 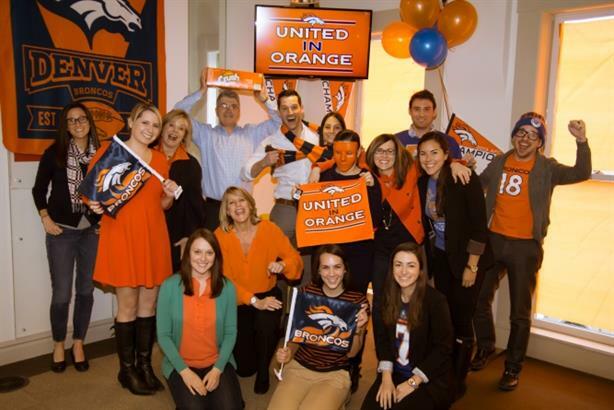 PRWeek asked two communications executives – one from Denver and the other from Seattle – to make their case as to why their team will come out on top on Sunday. Composure, consistency, clarity, and class. The Denver Broncos' astonishing quarterback Peyton Manning has mastered all four of these winning traits. The Seattle Seahawks' Richard Sherman has spent the time since his boastful post-NFC Championship rant rehabilitating his image and redirecting the attention to his teammates. Meanwhile, Peyton shared the limelight with his usual grace and humility. His media interview skills are a PR dream – succinct and compelling messages delivered clearly and graciously. He certainly scores in the media relations battle. Much has been said about his unprecedented athletic prowess and quarterback cunning. Few know about Peyton's unpublicized visits to hospitalized kids and supportive phone calls to grieving families following tragic events. His leadership on and off the field is inspiring and becoming legendary. Who will win the Super Bowl in 2014, the “Year of the Horse?” No one knows for sure, but I predict the Broncos will dominate the Seahawks with awesome offense and daunting defense. Yet, the undisputed winner as one of the most respected and beloved quarterbacks in the sport's history is Peyton Manning. The Seattle Seahawks will win the Super Bowl this week because that's how they approach every game. Each week is a one-game championship, and this week it just happens to be the Super Bowl at MetLife Stadium in New Jersey. The players have bought into Pete Carroll's philosophy, and they play every snap for this week's championship. General manager John Schneider has built a roster for this stage. They will not be rattled by the moment. They will do what they do every week: run the ball, stop the run on defense, make big plays in all three facets of the game, limit big plays by the opposition, and win the turnover battle. Winning for the Seahawks is about making plays, about being consistent, and persistent. The opponent does not matter, the Seahawks play their game and say beat us if you can. Marshawn Lynch will beastmode the Broncos, Russell Wilson will make plays that are not designed but divined to work because he believes they will. Receivers will make catches non-Seahawk fans think they cannot. And the number one defense in the league will force Peyton Manning “off the spot” to disrupt the timing routes the Broncos cherish. Special teams will be special as they have all season -- opponents have a total of 82 yards on punt returns -- and while Richard Sherman speaks the most (eloquently), Marshawn said it best this week: “I'm all about action, boss” just like his teammates. For 12s everywhere, 1-0 this week. Do agency mergers only kill creativity and drive talent to the competition?